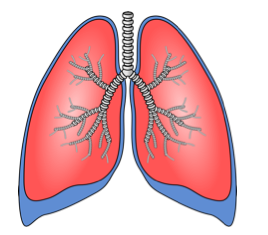 #6 Reading Enrichment: How Do Lungs Work? How do we accomplish this crucial and complex task without even thinking about it? Let’s learn about these hard working organs. Why do you think the body’s cells need oxygen? Why is it better that the lungs are spongy rather than empty like a balloon? How do you think your breathing and lungs adapt when you’re exercising? Lungs are important for breathing, but also for talking. Conduct research to find out how your lungs allow you to talk. Create a visual explaining how this process works. Include as many details as possible. Please share this project with your classroom teacher and the EY coordinator in your building. When you exercise, your lungs could be not used to it or they can’t keep up. If you don’t work out a lot and you go, your lungs will not be adapted to it. But if you do work out, then your lungs know what they have to do. So if you don’t, then your lungs are clueless! When you breathe, oxygen goes down your lungs to give them air. I think the lungs adapt by working faster, but it may put strain on them to be working that fast, if you do not do it often at least. My thought is how many muscles in your lungs are moving? One stop with your heart and that could possibly be fatal.